It's small, elegant and just the right size to sit on your customer's desk and hold all sorts of things! Makes a great jewelry box. Handmade in the USA from solid Appalachian Hardwood.A two pc. design. 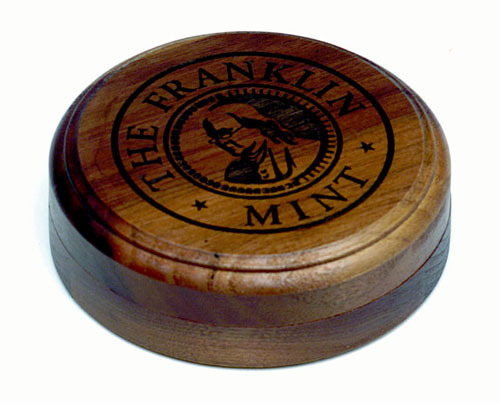 No minimums, Price includes laser engraving. ** NEED SOMETHING DIFFERENT ** We can design any item to fit your specifications.